I love a good wedding, and this year we're in for a big treat on May 19 when Meghan Markle and Prince Harry say 'I do' at St George's Chapel at Windsor Castle. While there is plenty of speculation about who is designing her dress, there will also be considerable interest in what they serve their VIP guests - in particular, the sparkling wine that will be used to toast the happy couple. The rumour is, it will be Chapel Down, a top notch sparkling wine from Kent. 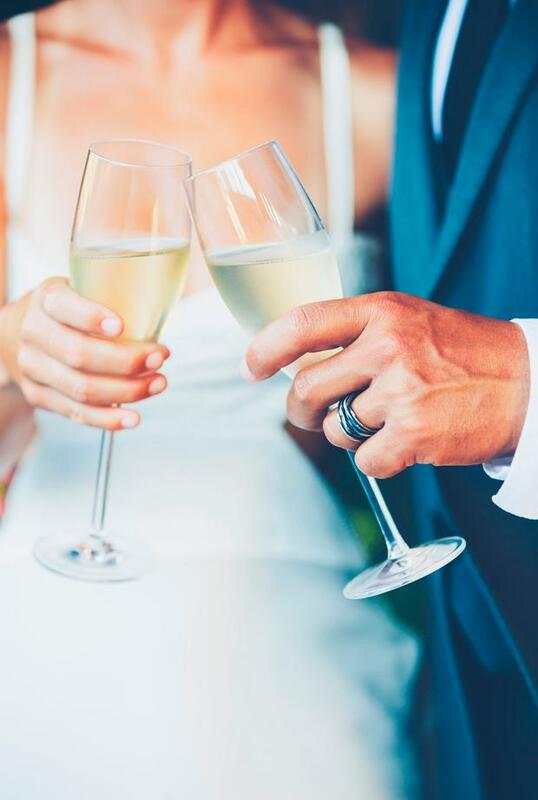 The approach to wedding celebrations has changed considerably, and many couples now select their own wine rather than going with the wine list in a hotel. "It's worth bringing your own wedding wine, as a hotel will charge you between €22 to €25 per bottle of their own," says Kevin O'Callaghan, the wine buyer at SuperValu. "A reasonable hotel will charge around €8 for corkage (the cost per bottle for bringing your own wine and essentially their lost profit margin), while a rare few will do it for free." Plan ahead and look out for sales, but do be sure to stick to your budget. Lidl has a French wine sale starting on Monday, March 5. Chardonnay lovers should like the Collin Bourisset Bourgogne Mâcon-Villages for €10.99 and there are plenty of reds, including the one featured here. Aldi has dropped the prices of some of its Exquisite range to €7.99 and the Estevez range is now €6.99. The monthly promotions running in O'Brien's are always worth checking out as these are wines that are genuinely reduced, not bottles with inflated prices slashed to half price, as you sometimes find in supermarket promotions. The trick is to buy during a loyalty period when you can also get 15pc of your spend back on an O'Brien's loyalty card. There is also good value in some smaller stores like Spar. "Generally most people want good but lower priced wines as the corkage is high," says Gill O'Meara, the wine buyer at Spar. "I try to recommend 'crowd pleaser' type wines that are easy drinking and not too distinctive with strong varietal flavours. "For whites, a popular choice is our Marlborough Flying Kiwi Sauvignon Blanc for €10.99, and I also like to recommend, unusually, a Côtes du Rhône white. Our Les Antiques white for €9.99 is excellent and well balanced with delicate herbal notes. For reds, I like to recommend Malbec, a Valpolicella Ripasso or a Pinot Noir." Online wine stores are worth checking out too, and both Wines Direct and Curious Wines have shops you can visit. "It's possible to book a tasting with us if you ring in advance," says Gareth Keogh of Wines Direct. "We look at budget, how many people will be going, talk through the options, have a tasting and take it from there. A lot of people now are organising the wedding themselves. They're renting a big old house, getting a catering company in and picking their own wine." The rule of thumb is around half a bottle per person and slightly more white than red wine. "We suggest roughly 60pc white and 40pc red, although it may depend on how well you know your audience. People tend to buy more white wine for a summer wedding," says Michael Kane of Curious Wine. And what about the all-important bubbles on the day? "For sparkling options the trend is still Prosecco," says Gill O'Meara. "Most couples choose a Frizzante version, but our Villalta Spumante Prosecco is worth the extra few euros. Alternatively, our Jaume Serra Cava is a great alternative to traditionally-made sparkling." The ever popular Ely Big Tasting at Ely CHQ returns on Friday, March 9, with over 100 wines and Champagnes. There are two sessions and tickets are €28 each. And at the 12 Hotel in Barna, Co Galway, there will be a celebration of the best of the west in gastronomy for the first three Fridays in March, with General Manager and award-winning sommelier Fergus O'Halloran hosting a guided wine tasting before sitting down to a tasting menu from Head Chef Martin O'Donnell with matching wines. Available from €220 per night, for two people sharing, on Friday March 2, 9 and 16.